Make a statement in your bathroom with the Aqua Oceanic Orchid Shower Curtain. 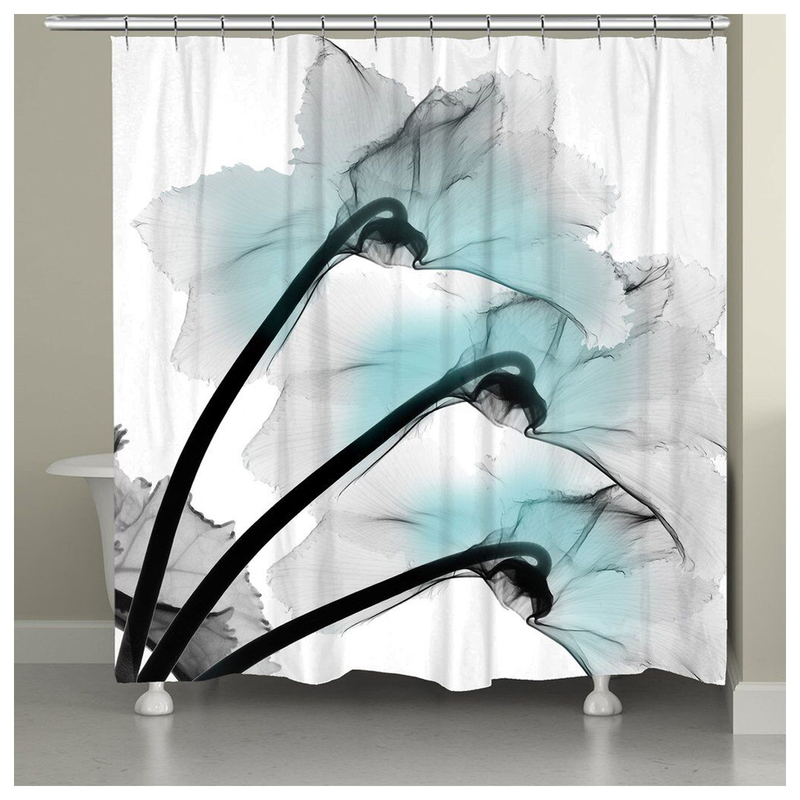 This beach shower curtain is adorned with aqua, black and gray orchids on a white background for a true tranquil feel. Ships from the manufacturer. Allow 1 to 2 weeks. Cannot express ship. For further offerings, we ask you to spend some time to browse our comprehensive inventory of beach shower curtains at Bella Coastal Decor today.